Below you will find the basic settings and usage examples for the Asha 200 mobile phone. You can also view other content on the mobile phone which explains the user manual of the Asha 200 in a much better way of understanding its usage. You can find the main articles listed here as well as changing SIM cards as WiFi settings for the Asha 200 mobile phone. 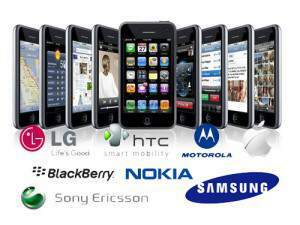 Search this website for other settings for this mobile phone as they will be listed here. To turn the Asha 200 on or off you will need to press the power button. You will need to hold this key in until the mobile phone vibrates. This will signal to your that the on/off switch works and will proceed with what you want. This is a very basic settings of the mobile phone. You should only use Nokia approved memory cards as they may damage the phone or the card. The Nokia Asha 200 support memory cards up to 32GB in size. Close the SDCard cover of the slot. Do not remove the SDCard while the phone is using the card as it could damage the card and you will lose all your data on the card. To remove the SDCard ensure that it is not being used and then push the card in until it click and pushes itself out of the slot. If the Asha 200 is giving you problems then most of these can be solved by turning off the mobile phone and removing the battery for 2-3 minutes. Insert the battery again and turn on the phone. This simple process solves many issues. If that does not work then update your phone software or do a factory settings restore. Your PIN code is normally supplied with the SIM card and this protects the card against unauthorised use. Note also that the PIN2 code supplied with some SIM cards is required to access certain services. If you enter them wrong three times then the phone is locked and you will need to contact your service provider to unlock the phone. Select Menu, and then press *. Select Unlock, and press *. Select Menu > Settings and Device > Automatic keyguard > On. Define the length of time after which the keys are locked automatically.